A Gremlin doing what Gremlins do. When I saw Star Trek, you know, I was like, ‘this is the way you do it. You have to connect the audience emotionally to the past. By seeing Leonard Nimoy in that movie and then so obviously a few days ago seeing Harrison Ford and Chewbacca at the end of the Star Wars trailer. Eight million geeks crying their eyes out, me included. So I thought ‘well that’s a great, great thing to do.’ So we won’t…we’re going apply that to Gremlins. We’re not going to forget about the past. 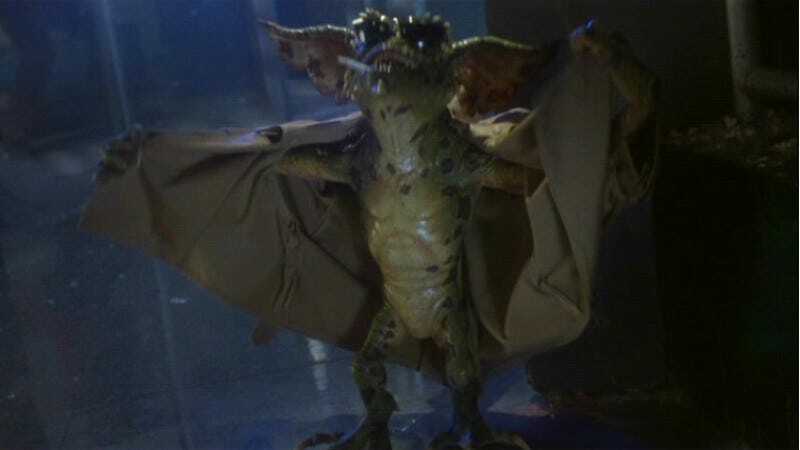 Presumably, this Gremlins reboot will be part of a cinematic universe that will include crossovers with Ghoulies, Hobgoblins, and Munchies, because cinematic universes are all the rage these days. Thankfully, marketing people won’t be able to make Gizmo any more extreme than he already was when he put on that Rambo headband and made a bow and arrow out of a paperclip and a rubber band.